Association health plans for small business are being expanded due to a new Federal rule. The biggest beneficiaries will be self-employed owners with no employees, as well as very small businesses with as few as one employee. These small business owners will soon be able to shop for and join association health plans. This is an expansion over existing state laws that often limit association plans to employers having at least 50 employees. The new rule gives authority for association plans to cross state lines. Importantly, the new association health plans will have expanded consumer protections, including pre-existing conditions coverage. It’s all due to a new Department of Labor rule issued on June 19, 2018. The effective date starts September 1st. The DOL says that 4 million Americans eventually could become insured under Association health plans, based on recent estimates by the Congressional Budget Office (CBO). The action comes after a President Trump Executive Order signed in October of 2017. In the order, the President directed the Department of Labor to come up with new rules to expand association plans. Small business health association plans enable small businesses to band together with other businesses for health insurance plans. Local business groups and even nationwide industry groups will be able to offer association health plans, i.e., group plans, that meet certain rules. By banding together, the insurance risk can be spread out over a larger group. The idea is that by spreading out risk over larger pools of people, small businesses will get access to health coverage at more favorable rates. Prior to the 2018 rule, solo business owners (those without employees) were not eligible for association plans. About 24 million of America’s 30 million small businesses have no employees. Previously those no-employee owners might have been covered through a spouse or other family member’s health insurance. Others end up on the individual plan market and ultimately were diverted to Obamacare plans. Association health plans exist today, but the new rule expands upon them. The rule is designed to make them available to business owners with no employees, as well as very small businesses that have employees. Also, Association plans will now be able to cross state lines (e.g., nationwide groups are allowed). The stated goal of the President was to make Association plans more widely available. Association health plans under the new rule will have expanded consumer protections. Under the new rule Association health plans cannot discriminate, charge more or deny coverage because of pre-existing conditions or health conditions. These plans may not cancel coverage due to an employee’s illness, either. Association plans under the new rule may not cherry pick participants due to health factors or pre-existing conditions. Families and employees are also eligible for coverage. A solo entrepreneur can get coverage for his or her family under the association plans. For those small businesses with employees, their employees and families can also be covered. Premiums and coverage terms are up to each plan. The new rule does not establish insurance premium rates or caps. The new rule also does not establish required levels of coverage (as Obamacare does). Insurers are not required to offer Association plans. In fact, it will be up to individual insurers and associations to decide whether to offer to such plans. Whether you will have access to an Association plan for your small business will depend on what’s available on the market, and that remains to be seen at some later time. Association health plans for small business are largely outside of the ACA and not subject to Obamacare rules. Under the new rule, small businesses will need to evaluate coverage closely. The new rule does not change or affect any existing association health plans. Existing association health plans may continue to operate under their existing coverage terms. However, if those plans wish to start accepting smaller businesses or expand their territory, they will have to follow the new rules. 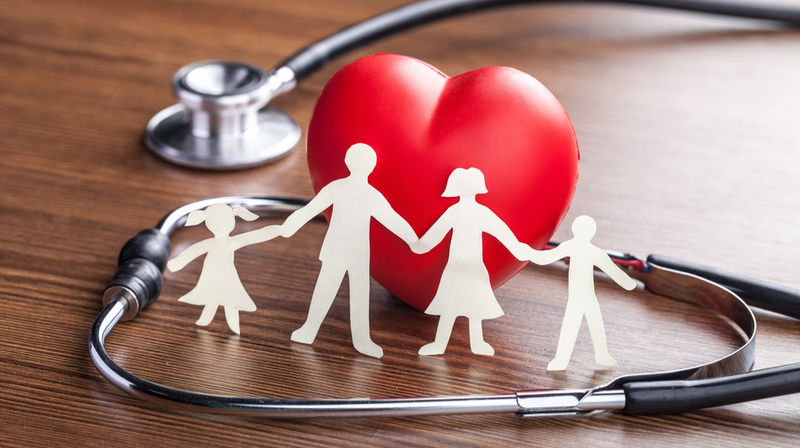 The new Association health plans must meet certain legal requirements. To prevent fraud, the Department of Labor rule requires employer members to exercise control of the association such as by electing a governing body. The plans must also comply with state insurance regulations and be subject to state insurance authorities. Self-insured plans are also possible, but have to follow special requirements. The new rule goes into effect September 1, 2018. This effective date is for insurance-company backed association plans. There are later dates for certain other plans including self-insured association plans. More information is available online. The full Department of Labor rule can be found here. The FAQs are easier to read and can be found here. Like all things healthcare related, reaction to the new rule depends on whom you talk with. How owners view the new Association plans may well depend on how they fared under Obamacare — and that’s a mixed bag. Obamacare impacted people differently, depending on individual circumstances. Here at Small Business Trends, we’ve heard from some small business owners who benefited from Obamacare. In some cases they got coverage for chronic pre-existing conditions they couldn’t otherwise get affordably. We also heard reports of owners who benefited from the subsidies reducing rates. For owners like these, Obamacare was a lifeline. Despite some owners faring better under Obamacare, as a whole the ACA has not been popular among small businesses. Fewer choices and higher premiums are the main culprits. See: Why 60% want Obamacare repealed. So anything that increases choice, offers affordable plans, and delivers key consumer protections, hits key small business pain points. This new rule attempts to remove regulatory hurdles for all three. Small business industry groups tended to react favorably to the new rule. However, they also want broader reform. The NSBA praised the DOL for attempting to address healthcare. But the NSBA also pointed to potential “unintended consequences” of Association plans. For instance, it fears the rule could make insurance more expensive for some small businesses. The NSBA also points to the fact that the plans, being mostly outside of the ACA, could have lesser coverage and terms that are not as favorable as Obamacare plans. Read the NSBA’s analysis here. Legal action also has been threatened by some state attorneys general. They are concerned about regulatory oversight if plans go across state lines. How such challenges will shake out remains to be seen. It’s going to take some time for new Association offerings to hit the market. So there is no action to take today. Keep your eyes and ears open among associations you belong to, including chambers of commerce and industry groups. In the coming months, after September 1, 2018, you may see potential new Association offerings. It may even be worth joining a business group if they offer Association health plans. Talk with other business owners in your area or industry to see how they are getting coverage. Shop carefully. When you do find an Association plan, evaluate it closely. Coverage terms will vary, since the plans do not necessarily have the mandated ACA coverage levels. Check the backing behind any association plans for its strength. Finally, talk with your insurance agent. Tell your agent you are interested in Association health plans. He or she may know of new plan offerings.